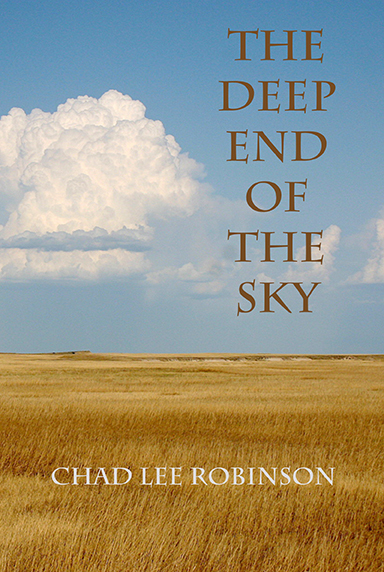 Turtle Light Press is proud to release the winner of its fourth haiku chapbook competition, The Deep End of the Sky, by Chad Lee Robinson of Pierre, South Dakota. This collection of 47 haiku takes us on a journey through the vast expanses of the American prairie, where you will see, hear and feel the farm landscape and its connection to the cosmos. Think of Georgia O’Keeffe’s paintings of the plains or Frederic Remington’s bronze sculptures – that’s the feeling of the North American prairies that you’ll get from this collection. You can check out this story in the Capital Journal newspaper about Chad Lee Robinson’s book.